A vibrant new member of the Barrier backpack line. The Granite Gear Champ is made with Repelaweave and Taurpalite fabric to be water repellant and wear resistant. It's tall and slim profile means that you can get the most out of it's multi-compartment design, while an organizer ensures that nothing gets lost. 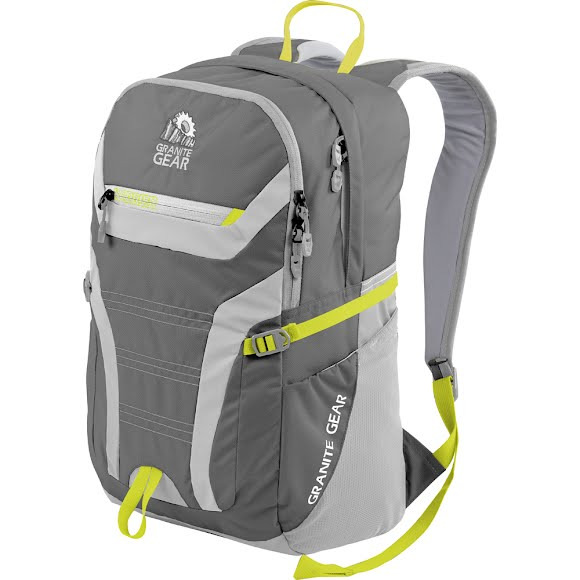 A vibrant new member of the Barrier backpack line. The Granite Gear Champ is made with Repelaweave and Taurpalite fabric to be water repellant and wear resistant. It&apos;s tall and slim profile means that you can get the most out of it&apos;s multi-compartment design, while an organizer ensures that nothing gets lost. Understanding the large role of technology in modern education, Granite Gear designed the Champ with a Barrier-zippered, tricot-lined pocket for electronics, and a protective laptop sleeve. To add convenience and further protection to your electronics, the champ also has two external stretch mesh hydration pockets, so you&apos;ll never have water inside your pack. Granite Gear uses these features together to create a pack that&apos;s as tough as grante, but a whole lot smarter.